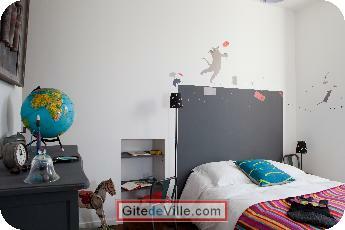 Self Catering Vacation Rental of 34 m² in Nantes for 4 peoples. 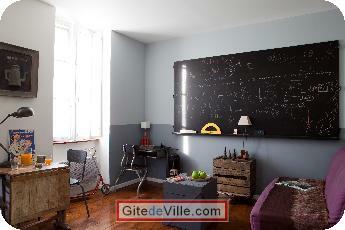 Dip back you into your Memories(Souvenirs) d 'Enfance childhood by going into this apartment: former(ancient) Blackboard, writing desk by way of TV piece of furniture, games(sets) and toys of former days. 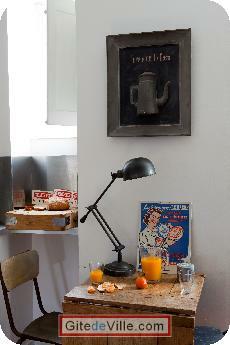 Who remembers paper bags of grocer's shops d 'autrefois formerly? Who forgot these old mechanical toys which made the happiness of the children? The former(ancient) furniture on a varnished parquet(public prosecutor's department) " way big mother " serves d 'écrin case for the objects of our childhood.